Layer Cake, a wine I bought for the label (which is how I choose wine anyway), turned out to be fabulous, so I thought I'd share my happy discovery. 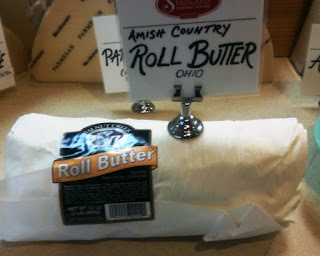 I bought the bottle pictured above in Shisler's, a store in Copley, Ohio, that features Amish cheeses (and the butter I bought, below, but sadly forgot in my mother's refrigerator). 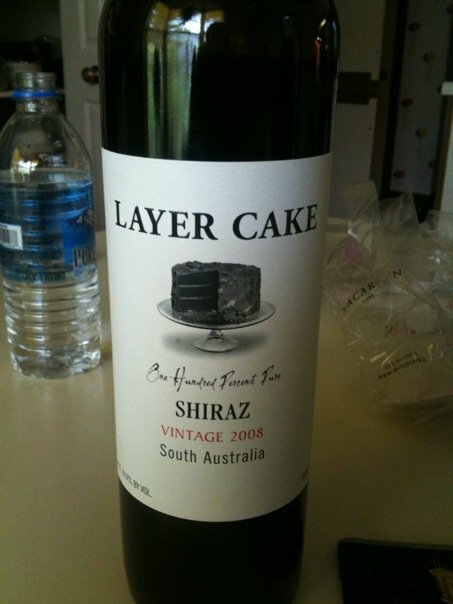 When I returned to New York and asked for Layer Cake at my local wine store, the descriptively named Big Nose, Full Body, the guy there said something like, oh, that wine is very popular in the suburbs. They obviously didn't have such an unsophisticated wine in the well-curated shop, but luckily I found it -- on sale --in a small liquor store in Lambertville, New Jersey, where DH and I spent Memorial Day weekend. Sometimes the suburbs are better. You never know what you might find at Shislers! They were also selling chocolate wine. Really.